Designed to work with all of Herbert grading systems, or as a standalone machine, the Variclean incorporates the very latest in technological developments that combine improved cleaning of crops, gentler handling and low maintenance. The Variclean incorporates a number of significant features that give improved cleaning and better performance for users. These include individual hydraulic driving rollers for greater flexibility and optimised separation for the gentle removal of clod, stone and haulm. 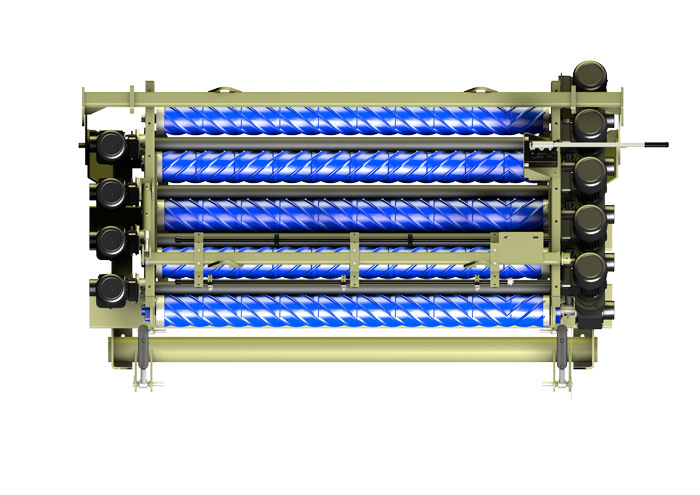 Each Variclean features 5 polyurethane fluted rollers and 4 clod rollers as standard. The speed of the spiral rollers can be varied, with separate speed and height controls for the clod rollers, which can also be easily reversed. Each clod roller rotates around the circumference of the adjacent fluted roller. This ‘constant geometry’ design maintains a consistent gap and in every cleaning position giving control of clod, stone and small crop removal.